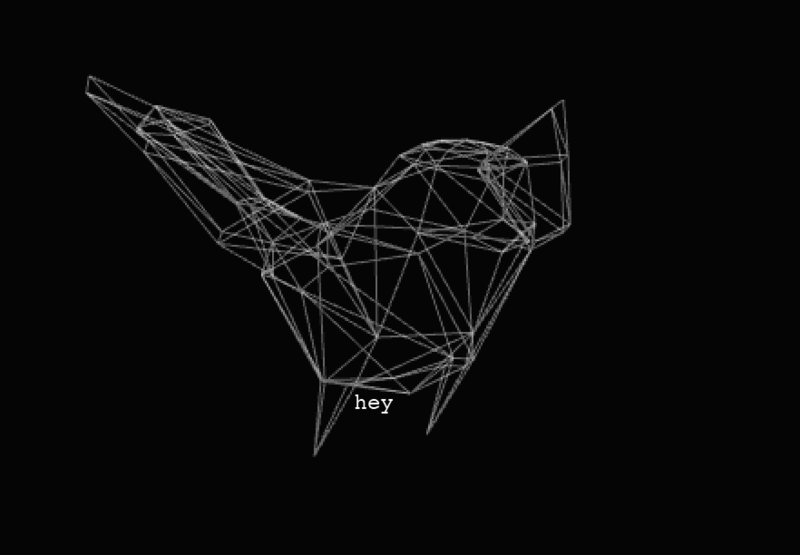 I am wondering if anyone know how to make the ofDrawBitmapString move along the ofMesh’s wireframe? 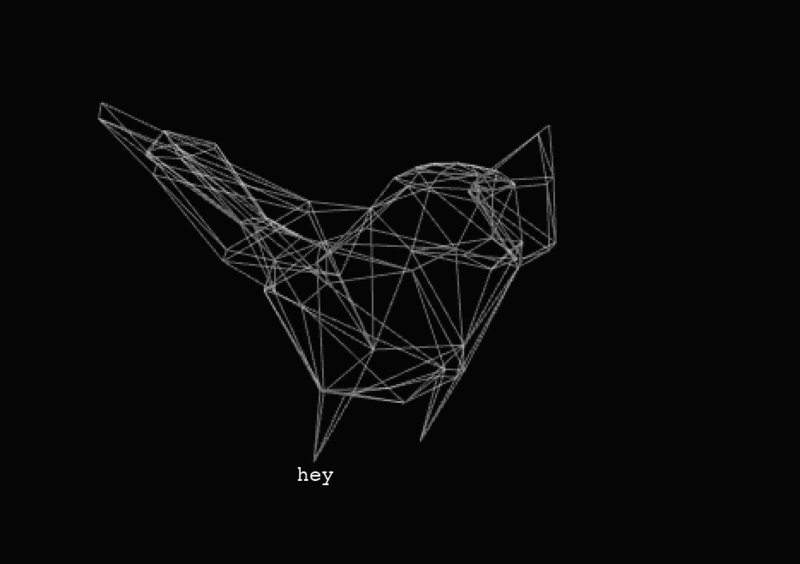 for example, i have this bird ofMesh and I want the word “hey” moves along this bird mesh’s wireframe from vertex to vertex. If anyone can point out a direction to work it will be super helpful! Thanks! Or anyone know how the drawWireframe() function know there is or not a line between certain vertices? it will be helpful too! I think you can do it using multiple ways. Thanks for the solution, it works! Do you know it is doing that? I’m glad it’s working ! yeah that’s because the order of your indices don’t correspond to their place in space, you need to sort them by place in space. 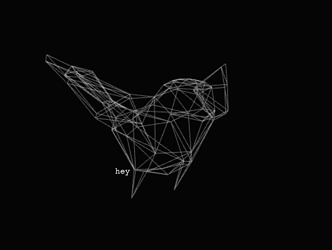 To do that, you need to use this method i think : setupIndicesAuto of your mesh.